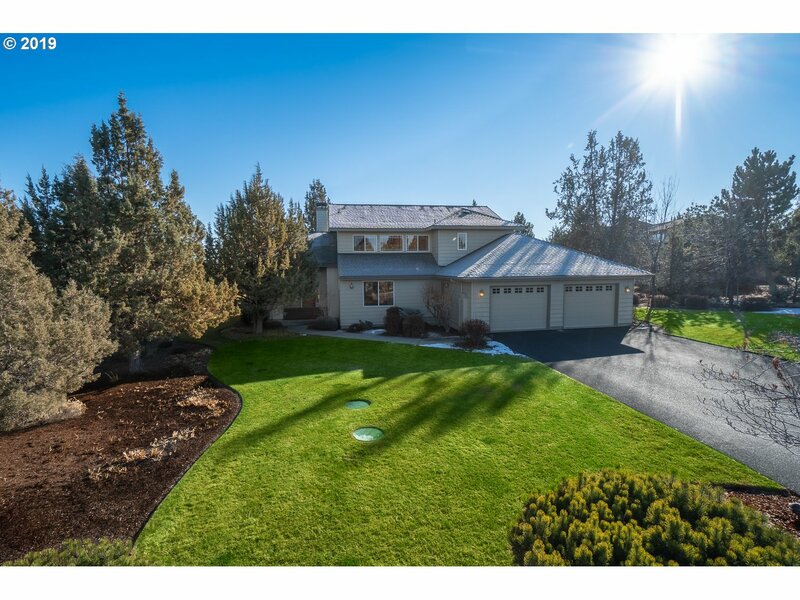 All Redmond homes currently listed for sale in Redmond as of 04/25/2019 are shown below. You can change the search criteria at any time by pressing the 'Change Search' button below. "Rocky River Ranch includes 124 acres with 3 individual EFU zoned tax lots. Cascade Mountain and Deschutes River Views. Custom 3387sf, 3 bedroom, 3.5 bath home on 15.86 acres on the rim plus two individual tax lots, 59.98 acres and 48.61 acres. 66 acres of irrigation water rights, currently planted in hay/oats. Home includes updated kitchen, living, family, formal dining, and entertaining decks with river views." "Cline Falls Ranch is one of or is the oldest working ranches still in operation today in Redmond, OR. This beautiful 62.73 acre ranch w/30.7 acres of irrig. is nicely set up for your horse/cattle operation. Currently a horse boarding facility complete with indoor & outdoor arenas, breeze-way barns w/box stalls/turnouts, hay storage & the old iconic Silo. In excess of 24,000 sq. ft. of accessory buildings can be used for agriculture stor"
"On Amber Pond just 5 minutes to Redmond is this grand country home and hobby ranch with 4 bedrooms/3.5 bath with views of Smith Rock and the mountains. Country casual luxury with natural woods. Relax in the master suite's sitting area and take in the mountain views or on the pavered patio. A jr. master is on the main level. Fabulous music room with french doors to the covered deck, and a media room/library." "Golf Course views are enjoyed from this .49 acre property. Beautiful light and bright 4061 sqft 3 bedroom 4 bath home with hardwood floors has a large comfortable living room and an additional upstairs loft bonus room. The generously sized kitchen w/pantry is sure to please. Master suite on the main level so you have easy access to the hot tub on the covered wrap around porch. This home has storage galore. Boasting a 1332 sq ft garage." "Another gorgeous Kenneth E. Thomas Construction home nearing completion in Eagle Crest Resort! Thoughtfully designed for easy living with vaulted ceilings, extensive rock, dream kitchen with slab quartz counters & island, three bedrooms (one could be a den/office), 2.5 baths large dining area & utility all on the main floor. Luxurious master suite with large walk-in shower, soaking tub, dual vanity & walk-in closet. Guest room with full"
"Gorgeous Home on Eagle Crest Resort Golf Course! Only high-end materials within this incredible home located in quiet gated-community! Features: 10ft ceilings, hand-troweled walls, cement siding, stone fascia, custom bamboo cabinets & flooring, Low-E thermal windows/doors, Fairway views, Grand Master + 3-additional Jr. Suites, office, formal dining, granite island w/breakfast-bar, copper sinks, Gas fireplaces, rec room, 3-car garage." 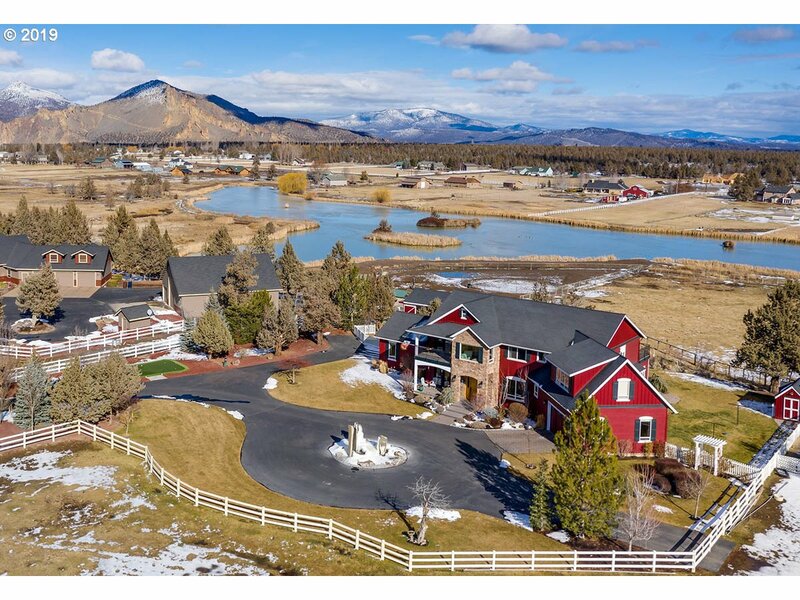 "Enjoy stunning sunrises and views of the Ochocos from this meticulous single level on the 17th fairway of The Challenge Course in beautiful Eagle Crest Resort! Located on a gated private cul-de-sac near the ridge sports center and pro shop. Great room floor plan features soaring ceilings, walls of windows, and luxury finishes throughout. Den with closet could be 4th bedroom. Expansive paver deck with hot tub." 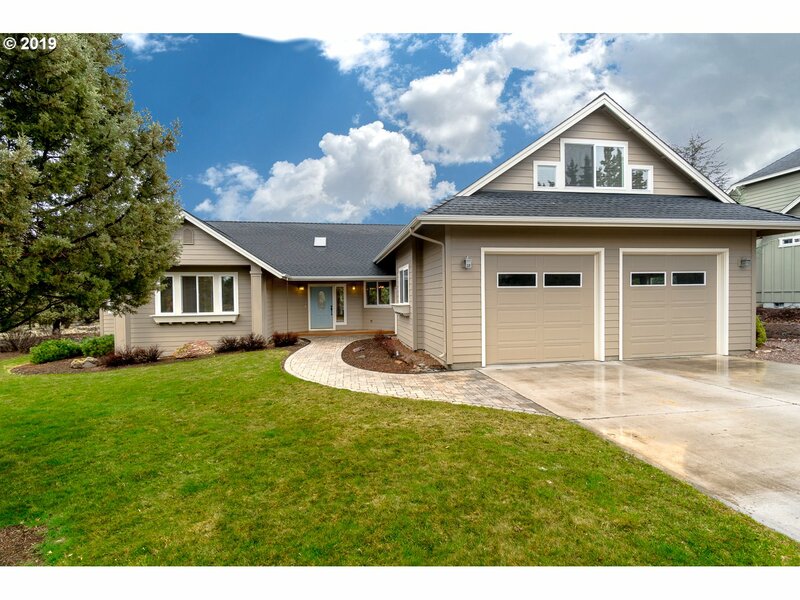 "Quality & charm in this amazing home w/sweeping mountain views. Custom built with large rooms throughout. Main level master suite w/french doors to private patio. 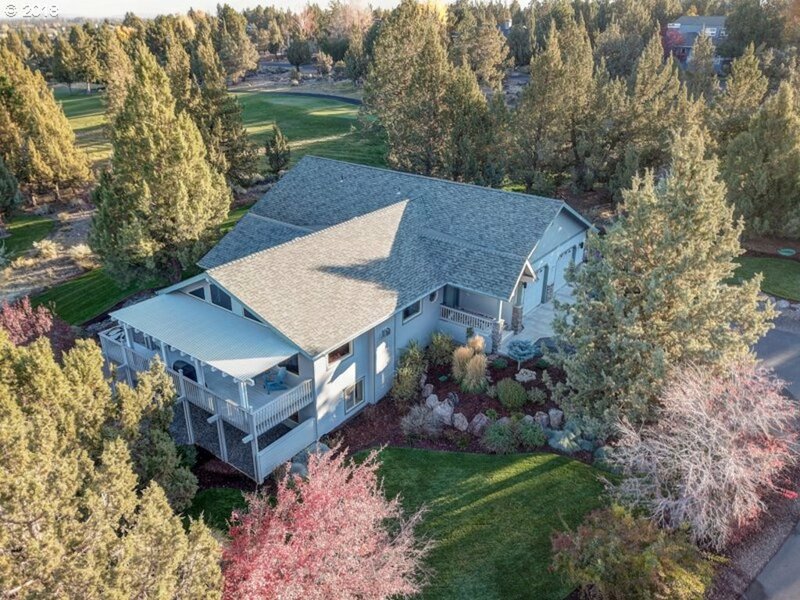 Gourmet kitchen with large center island, Great Rm w/french doors to large patio that backs up Cline Butte. Backyard very private with waterfall feature. Upstairs 2 guest bedrooms,loft overlooking Great Rm/kitchen, extra large media rm includes pull down screen & projector." "NW Chalet Views & Sounds of the River on 3 Acres! 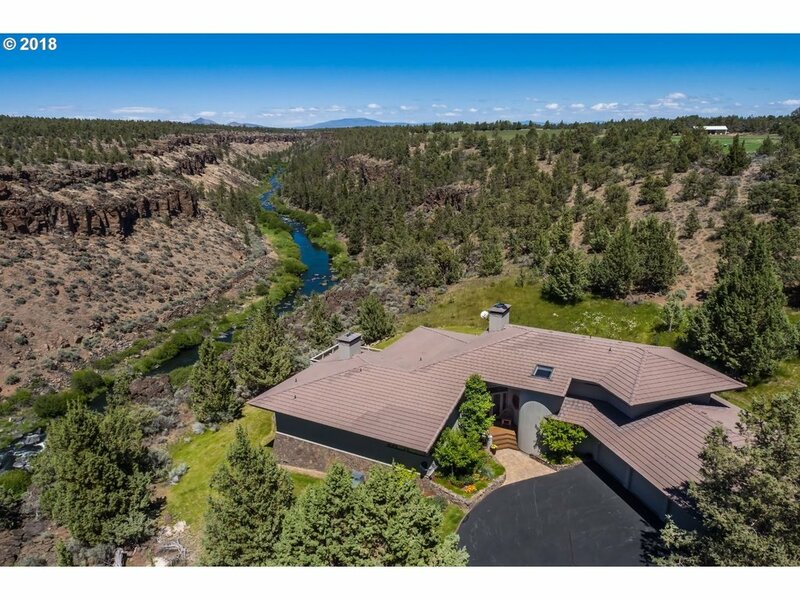 Gorgeous home & property on the Big Deschutes River peninsula at Tetherow Falls! 3 bedroom / 2 bath home with 600 feet of river frontage features: 24ft high-vaulted great room with huge window wall viewing the river, hardwood floors, certified wood stove & raised slate hearth, open dining/kitchen w/b-bar, maple cabinets, tile backsplash, SS appliances, master w/his & her closets & more." 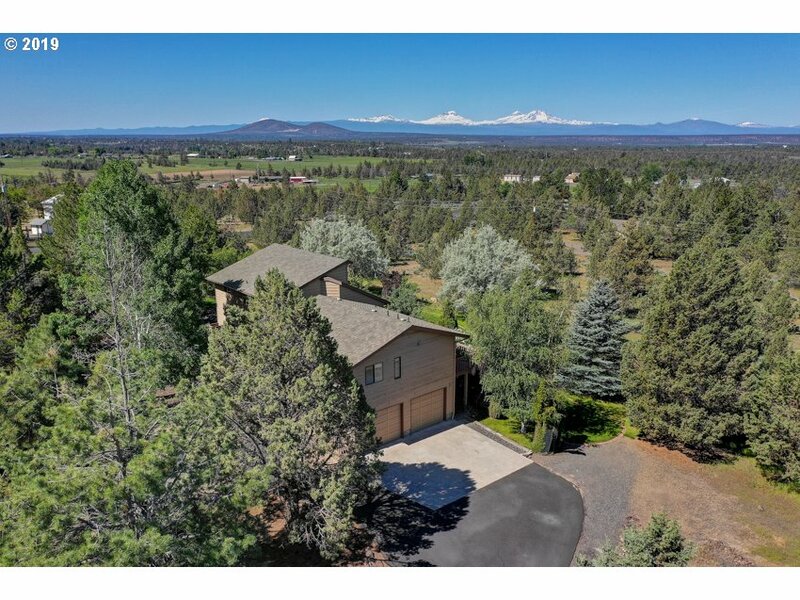 "NW Equestrian Estate on 5 Acres! Wonderful country home w/electric security gate, new High-Eff Heat Pump & Central AC, vaulted great room w/gas log stove, tiled island/counters, main level master w/prvt bath & slider to covered back deck, ctrl VAC, deep 2+ car garage w/att car/boat/trailer-port, 3600 sqft pro-barn w/pull-through doors, 5 - 12x12 stalls w/metal paddocks, heated tack, hay storage, wash rack & Fenced X-Fenced runs!" "Beautiful golf course home loaded with upgrades throughout. Great room plan with soaring ceilings and walls of windows opens to expansive deck overlooking the tee box of the second fairway of The Ridge Course in Eagle Crest Resort. Main level living with two bedrooms, 2 full baths & utility. Upper level with full bedroom, office area, game/TV area loft, full bath and extra storage room. Updated kitchen with slab quartz, brand new stainl"
"NW Modern Farmhouse on 5+ Acres! Come fall in love w/this custom country home w/4Bd + office/3.5Ba, 3100sf, covered country porch, Oak HW floors, living room w/river rock FP, dining room, kitchen w/b-fast nook, granite counters, dbl ovens & stove, walk-in pantry, pvt office, sep wing for mother-in-law/guest qrtrs, Master w/sitting area & pvt bath w/tiled vanity, tiled shower & Claw-Foot tub, w/FA Heat & Central AC and att 3-car garage." 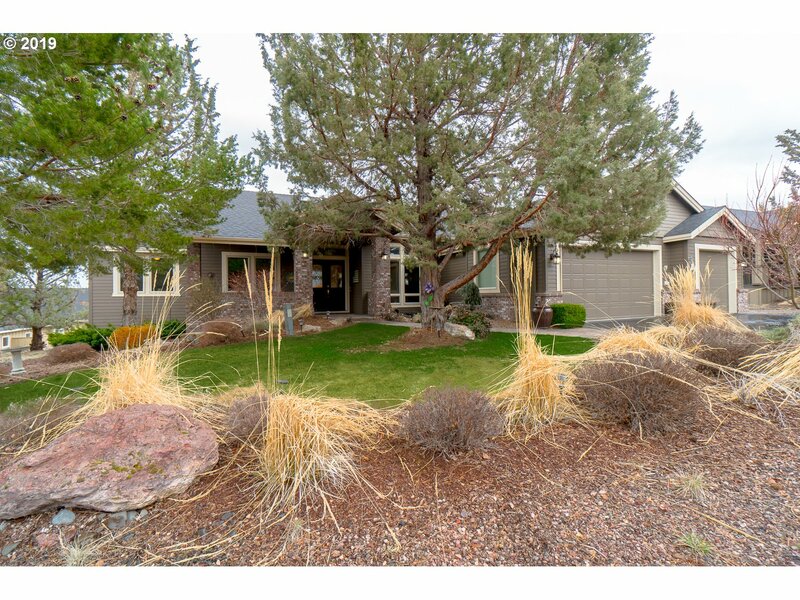 "Beautifully updated golf course home on the 7th green of the Ridge Course in Eagle Crest Resort! Great room floor plan boasts two master suites, three full baths, additional guest room plus a huge loft. Thoughtfully updated with gorgeous hickory floors, stone fireplace surround & porcelain tile counters in baths. Cooks kitchen with gas cooktop, granite counters, stainless appliances, breakfast bar, & spacious pantry. 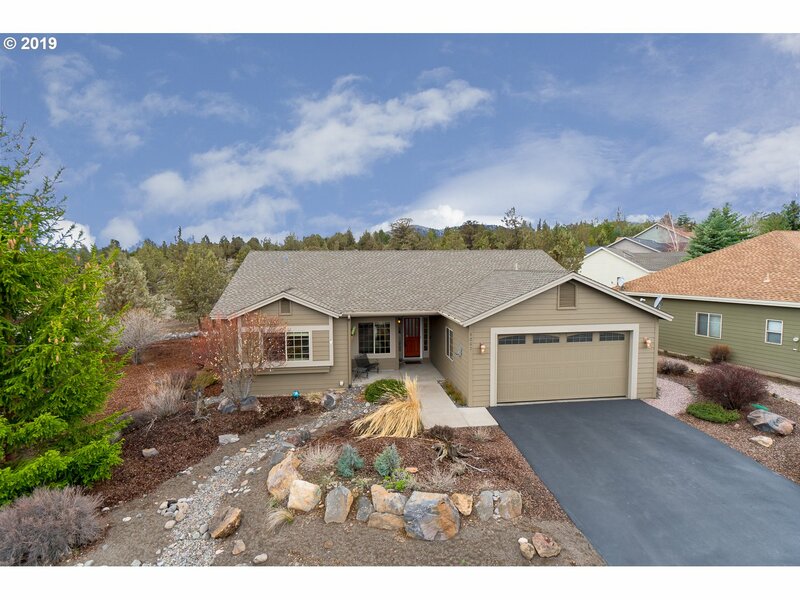 Vaulted ceilings,"
"Gorgeous updated Eagle Crest retreat! Unique floor plan boasts great room with vaulted ceiling, wall of windows and hickory hardwoods. Kitchen with slab quartz, new stainless appliances, and spacious pantry. Master suite with huge walk-in shower and heated floors. Guest room with on-suite full bath. Office/media room with access to patio. Large bonus room/third bedroom with extra storage space." "Golf Course Home on Private Lot in Eagle Crest! 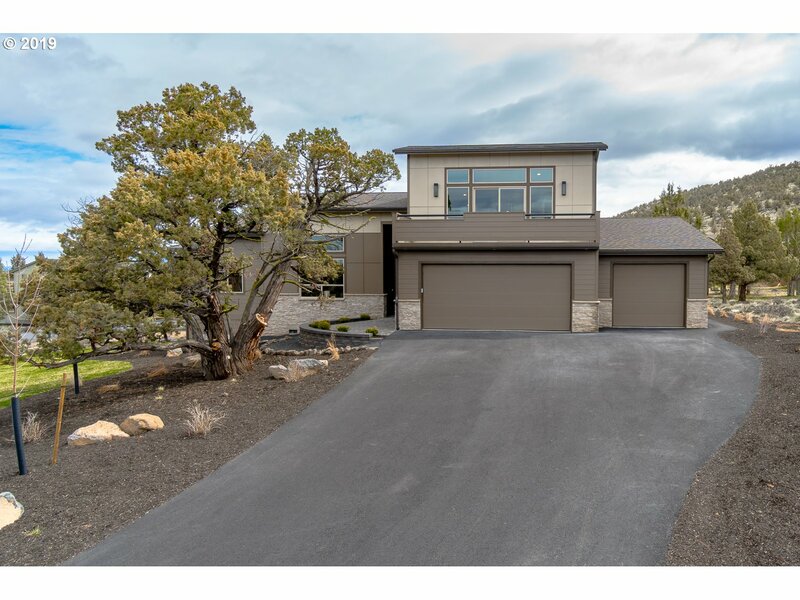 On the 15t h Tee, this 2500sf home features: vaulted Great Room w/Knotty-Pine ceiling, stone Fireplace, open kitchen w/granite counters, walk-in pantry, built-in wine & beverage coolers; main level master w/private deck, walk-in closet, & private-bath; large back deck w/Cascade Mtn & Golf Course views, tandem 3-car garage, newer High Eff Heat Pump, storage galore, & beautifully landscaped!" 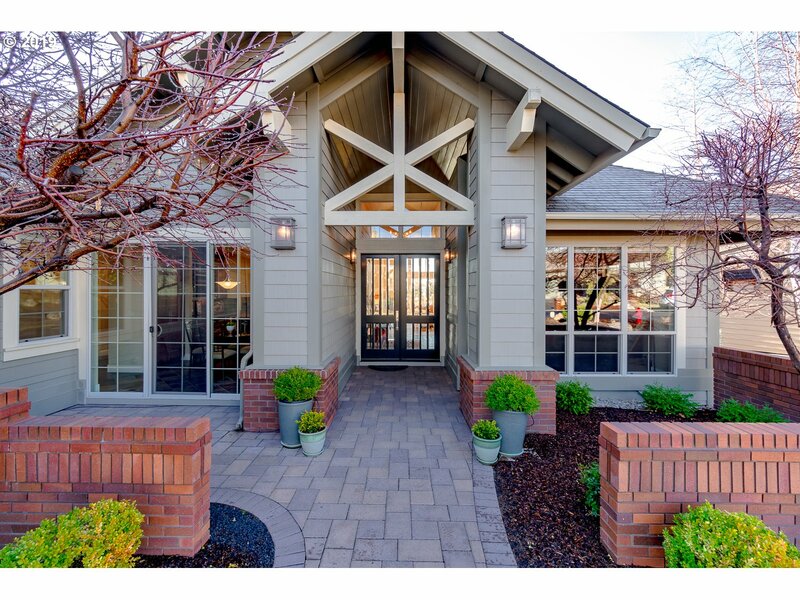 "Fantastic NW Redmond location with stunning Cascade Mountain Views. You will love this well cared home. The home features a sunroom, landscaped yard, new cedar deck, solar hot water heater, retractable awnings, 2 car heated garage & new well pump. Guest House over the garage with its own separate entrance: 1 bd,1 bth, office and a balcony. All on a private 4.24 acre spacious lot. Main House = 1,816 sq ft, Guest House = 624 sq ft."
"Beautiful setting overlooking 16th fairway of Ridge Golf Course in Eagle Crest. Home with 2 master suites on main level. 2nd Level 694 SF open loft with full bath and walk in closet. Main level living with great room and walls of windows looking out to gorgeous views. Oversize 2 car garage of 806 SF with shop area.First time on market. Eagle Crest Resort with 3 golf course, Rec Centers w/pools, exercise facilities, tennis cts, etc." 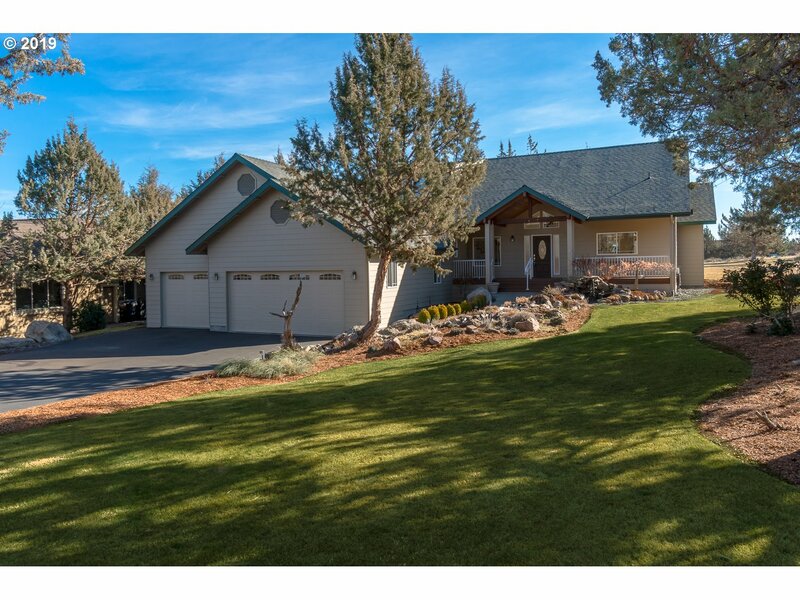 "Enjoy beautiful sunrises and gorgeous views of Smith Rock from the back deck of this single level home in beautiful Eagle Crest Resort! Fabulous great room plan boasts a den and formal dining room. Spacious kitchen with built-in buffet, gas cook-top, and walk-in pantry. Master suite with walk-in shower, soaking tub, and large walk-in closet. Den with double french doors and built-in bookshelves. Floor to ceiling river-rock fireplace sur"
"Very private setting in The Falls 55+ active adult community. Great room plan featuring three bedrooms and a den/bar with built-ins. Gourmet kitchen with slab quartz countertops, GE profile induction cooktop range, cabinets with pull-outs, no-touch faucet, and updated custom lighting. Gorgeous laminate flooring, black-out shades, updated lighting, and surround sound. Garage with new epoxy coating . 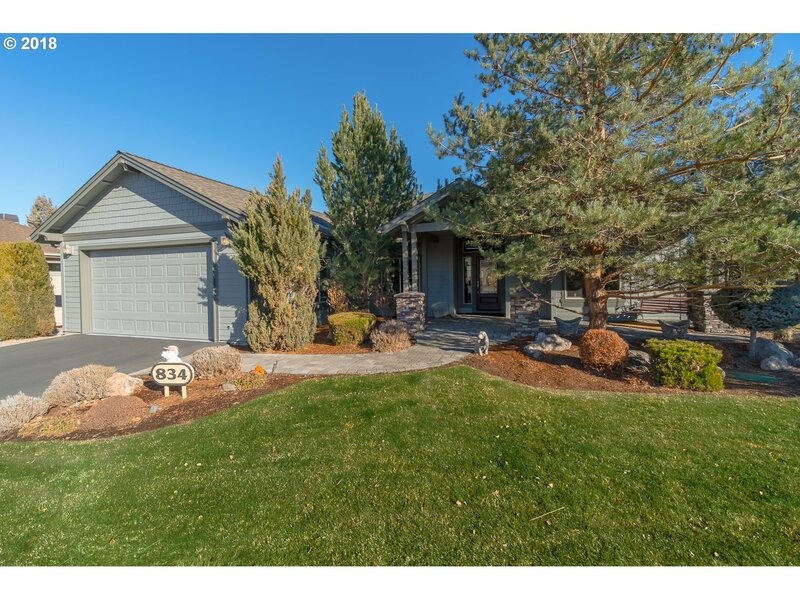 Expansive paver patio with gas fire pi"
"Beautiful single level with private setting in The Falls 55+ at Eagle Crest Resort! Unique great room plan features vaulted ceilings, built-ins, hardwood floors, and gas fireplace. Updated kitchen with solid Silestone counters, built-in pantry, and stainless refrigerator. Den with built-in desk and bookshelves. Expansive deck overlooking the private backyard and common space is perfect for entertaining." "3200sf Home on Big 0.21 Acre Lot + Big Views! 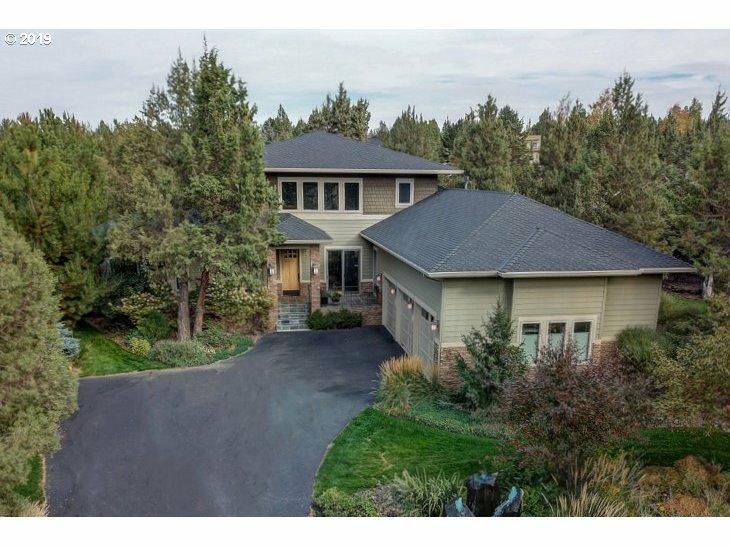 Wonderful 4Bd+Office/2.5Ba, 2015 Built home in Summit Crest w/stone fascia pillars, new wd-lam floors, bonus/rec room, Great room w/open dining/kitchen w/B-Bar & Island, SS Appl, sep family room, big master w/sitting area, Cascade Mtn views & pvt bath w/dbl vanity, tiled soak-tub & shower, walk-in, fenced backyard w/large patio, dbl gate side yard for RV/Trailer, Gas FA heat & Central AC." "Beautiful 2017 Sage Built home located in Eagle Crest! Home has deluxe upgrades such as heated tile in master, central vac with hide-a-hose system, custom garage flooring, solar tube, extensive use of wood flooring, upgraded carpet/memory pad, and pre-wired for custom sound in great room. Master located on the main floor and home is adjacent to a green area. Great opportunity to enjoy resort style living! Listing Agent is Owner." 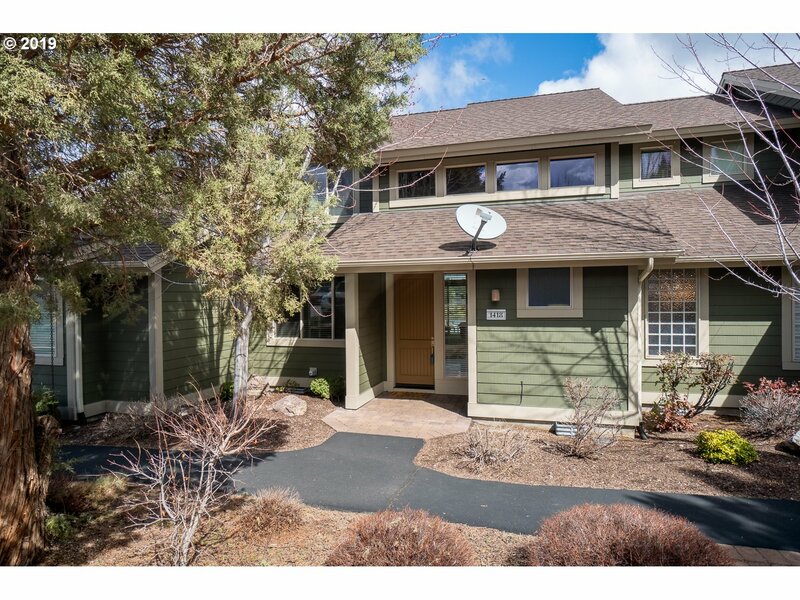 "Gorgeous updated Creekside Village townhouse on the pond with stunning views in Eagle Crest Resort! Great room plan featuring soaring ceilings, walls of windows, and high-end fixtures and finishes throughout. Upgraded carpet, floor to ceiling stone fireplace, and slab granite counters in the bathrooms. One of the best locations and views in Creekside. Partially furnished."